Accelerating global leadership development, building the capacity of nonprofit organizations to better meet their missions, gaining insight into rapidly growing markets, engaging employees, and developing authentic reputations for Corporate Social Responsibility—all of these are reasons for companies to engage in international skills-based volunteering, otherwise known as Global Pro Bono. With backing from SAP, PYXERA Global has immediate openings for participants in the Global Pro Bono program Corporate Champions for Education, a multi-company collaborative approach. Why join the Corporate Champions for Education? Participants have a rare opportunity to accelerate their leadership skills not only in the context of a new market environment, but also side-by-side with professionals from other companies in other industries. In previous multi-company programs, participants observed that this ‘crucible’ development experience served to highlight the competencies and cultures of the different companies, developing greater appreciation for their own unique culture and core competencies, while at the same time developing a greater respect for others. Typical programs require the development of a structure that supports several participants, which can effectively prohibit small and medium companies from participating. Because the program allows companies to send from 1–4 participants per team, it allows companies to ‘right size’ their effort and expense. This flexibility and affordability also allows multinational companies to experiment and pilot the practice, as part of an integrated CSR and employee engagement strategy. In 2019, the Corporate Champions for Education will assemble into teams and deploy on four-week assignments with nonprofit organizations in Colombia (September-October). Using their professional and business skills, they will work on projects to improve the strategy and/or operations of organizations dedicated to addressing some aspect of the United Nations Sustainable Development Goal #4: “Ensure inclusive and equitable quality education and promote lifelong learning opportunities for all.” In 2020, the plan is for the Corporate Champions to go to Vietnam in February and return to Colombia in the autumn. We believe that building the capacity of local organizations is the best, most sustainable way to ensure that their clientele have the requisite competence and confidence to participate in today’s—and tomorrow’s—global, and increasingly digital, economy. The Corporate Champions for Education will be in Colombia September 13–October 12, 2019. 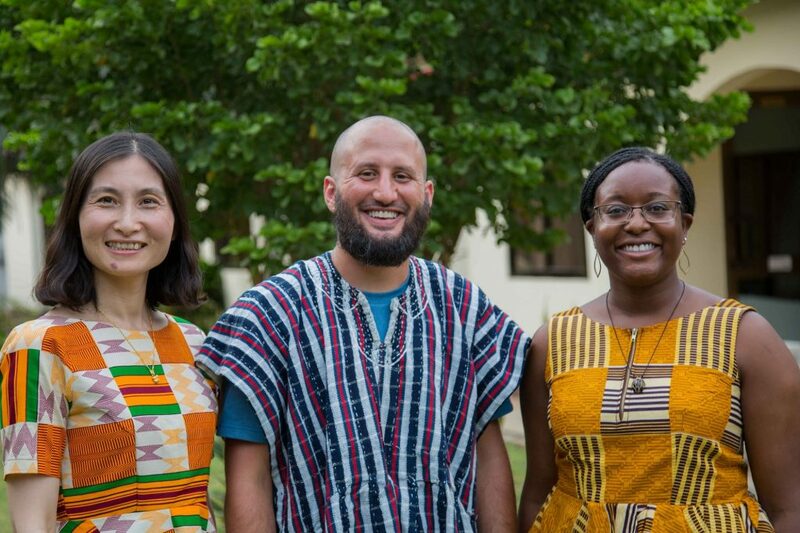 Participants from several companies across industries will form diverse teams to work on specific projects, using their professional business and operational skills during four-week secondments with nonprofit organizations in select underserved markets. SAP funds the underlying development and administration of the program, which is implemented by PYXERA Global. Collaborating companies pay a flat fee for each participant, inclusive of travel, hotel, food, training, and on-the-ground support. The deadline for commitment for the Colombia program is May 31, 2019. For nearly 30 years, PYXERA Global has leveraged the unique strengths of corporations, governments, social sector organizations, educational institutions, and individuals to enhance the abilities of people and communities to solve complex problems and attain mutually beneficial goals. The PYXERA Global team is passionate and dedicated to navigating challenges and pinpointing purposeful global engagement opportunities for its clients and partners. Initiatives include a wide range of services from local content development to Global Pro Bono programs and integrated community development efforts that transform lives and livelihoods.